Select from the following writings for reading online by clicking on the title; or print them out in a convenient PDF file for more leisurely reading, studying, making notes, or sharing. 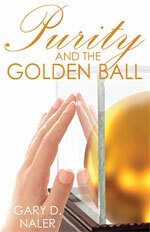 For the PDF, click on the “ View PDF” link at the end of each writing’s description. May Yahweh bless your understanding. Note: It is recommended that the new reader begin with the Bible Contradictions, and/or read the following in this order: The Issue, Two Trees In The Garden, and Death And The Passing Of Christianity. BIBLE CONTRADICTIONS - Did you know that the Bible is full of contradictions? Critics know this, and aptly point them out. But this writer has discovered an exciting truth concerning them - they are riddles, containing rich concealed meaning. Following is a series of writings addressing some of these riddles that the Bible affords, giving meaning to them and validating the Bible, including its seemingly pesky contradictions, as God's written word. CLEANSING THE TEMPLE - Do you know what the Bible records regarding when Yahshua cleansed the temple? Matthew and Luke say that it was cleansed on the same day Yahshua made His triumphal entry into Jerusalem. Mark says that it was cleansed on the day after Yahshua entered Jerusalem. And John says that this cleansing occurred as Yahshua's second act, immediately after the wedding feast in Cana. So who is right? The Holy Spirit is right, and He clearly has a message for us in this contradiction riddle. This analysis is one section from the writing listed here titled, ONE THING YOU STILL LACK. THE GREAT TRIBULATION - This item extracts two sections out of the writing by this same name – Sections 5 and 7. These address the contradiction riddles related to the abomination of desolation and the great tribulation, as well as what takes place just before Yahshua’s return. The abomination of desolation actually began a mere seven days after Yahshua ascended into heaven, and the great tribulation has taken place ever since. The accounts of Yahshua’s teachings concerning that which takes place on earth while He is in heaven and just before His return are examined, including His accounts about the days of Noah and the days of Lot. As you will see, both the Matthew first Remnant and Mark Christianity have been a part of the abomination of desolation, and neither of them could know the truth that is revealed to His Luke second Remnant. To read instead The Great Tribulation in its entirety, click here. THE COVERING FOR THE BRIDE OF YAHSHUA - This six-part series addresses the covering that must be placed over the Bride of Yahshua in order for her to both speak on Yahweh's behalf and ascend to Him. This covering is revealed in many ways throughout the Scriptures, and is in fact so conclusively evidenced that this study is broken into six separate sequential writings, totaling almost 200 pages of printed material. The first three were published just before and at Tabernacles, 2000, the fourth at Tabernacles, 2002, the fifth immediately following, and the sixth at Passover, 2003. THE LATTER RAIN AND 2002! - This is a series of sixteen writings that were posted as a special ongoing report from January through May of 2002, specifically leading up to Passover. This includes a very important analysis of events that have taken place beginning in 1948 when the nation of Israel was established and the Latter Rain Movement began. We find that in this time Yahweh is fulfilling what can best be called - the test of Carmel! THE CURSE OF 1920 - In the of 2003, Yahweh began revealing to Gary the truth concerning the Curse of 1920. Gradually this truth unfolded until 2005 when it became an even more complete understanding. 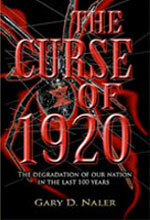 Today, this wholly impacting Curse is thoroughly addressed in a book published in 2007 titled The Curse of 1920. 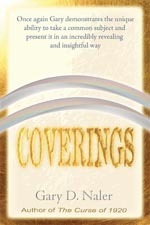 To read excerpts from the book, click on the above link and read "Quotable Quotes" and "Select Portions." There is other useful and enlightening information there as well, including how you can order the book.